Proper for full-price men's and women's styles. Cannot be combined with other promotions. The offer is valid for verified students only. To get the offer you have to sign up. Applicable to standard US wide shipping. Spend over $100 and get Free Shipping. Valid for all products without any minimum spent. Includes free standard US shipping. No minimum spent is required. The coupon code is available for sitewide merchandises without any minimum spent. The coupon code is available for sitewide merchandises and includes free standard US shipping. To start saving you need a code, here is how to get it. Click on “Show coupon code”. Copy it and let’s go to the website to use it. 2. Select a particular category that suits you and select a subcategory from the various options. 3. To narrow your search, use the different filters to make your choice easier to make. When you find the item click on it. 4. On the next page are details of your item, check whether it’s in stock and zoom to get a better image. 5. Pick a color, size and quantity, if it is applicable to your item. Click on “Add to bag”. On the pop up window click on “View bag”. On the next page, check the items in your bag and update if necessary. Below the table is the heading “Enter promotional code”, paste the code and click on “Apply”. Levi’s Jeans (Levi Strauss & Co) has for many, many years been known for the quality jeans they design and manufacture. Their jeans provide everything that a good pair of jeans should: comfort, reliability, durability, and quality. The material they use are from the best denim and cloth, because they know that there is a big difference in the feel. 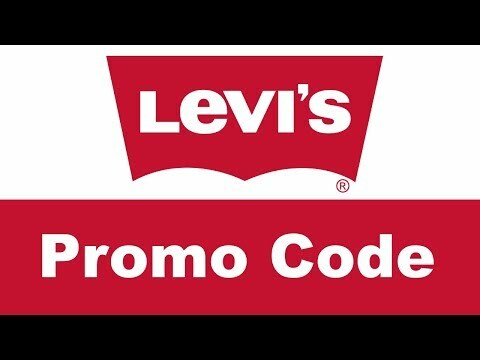 If you are ever in need of new jeans or are looking for a new brand to try out, Levi’s Jeans are the perfect choice.